During my high school years and undergraduate years in college, I had always aspired to be a writer for the Philadelphia Daily News or The Philadelphia Inquirer. In fact, I was the co-editor-in-chief of my high school newspaper (The Centralizer) during my senior year, and I went on to major in print journalism at Temple University. Featured below are links to much of my work during this time period. Centralizer 1999-2000: I created this website (after graduating from high school) in order to display our staff's hard work online, as well as to showcase some of my own writing from other local newspapers. Many of the links featured below are actually part of this website. Click here to enter. Centralizer Articles - Articles, photos, cartoons, etc. 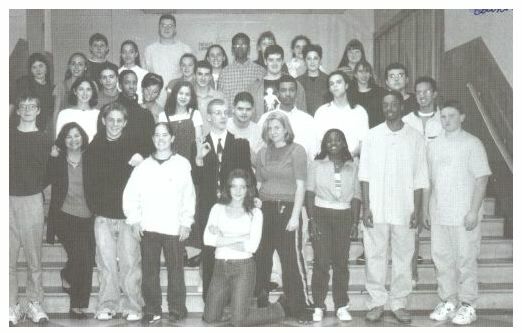 from my years with The Centralizer (1996-2000), the newspaper of Central High School of Philadelphia. Centraliar Articles - Articles, features, etc. from my years working on The Centraliar (1998-2000), the April Fool's version of The Centralizer. Daily Pennsylvanian Articles - Articles from my time with the Daily Pennsylvanian, the daily independent, student-run newspaper of the University of Pennsylvania (2004-present). First Take/Inquirer Articles - Articles and photos from my years in The Philadelphia Inquirer Acel Moore Career Development Workshop (1998-2000) and my summer internship at The Philadelphia Inquirer in 2000. Metro Articles - Articles and other clips from my fall internship at the Philadelphia Metro in 2002. South/Southwest Philadelphia Review Articles - Articles, newsbriefs, photos and "word on the street" columns from my internship at the South Philadelphia Review and the Southwest Philadelphia Review, from May 2002 to May 2004. Temple Column Articles - Articles from my stint at The Temple Column, the newspaper of Temple University Ambler (2002). Temple News Articles - Articles and photos from my two tours of duty with the Temple News, the weekly independent, student-run newspaper of Temple University (2000-2001 and 2003). Miscellaneous Articles and Photographs - Any of my work which doesn't fall into the above categories can be found here. Ultimate Links Page - News, sports and weather links, search engines, writing and research links, journalism links, etc.